Want to be able to use Verizon’s fifth generation wireless network in Chicago and Minneapolis starting in April? Verizon announced this week you can on April 11 by paying $10 per month with any of its unlimited mobile plans. The Motorola Z3 mobile and a device called 5G moto are the devices that you will need to connect to the 5G network. Verizon finally offered some details about its 5G launch this morning: it plans to deploy the next-gen wireless technology in 30 cities by the end of 2019. The carrier didn’t say which cities those would be, how thoroughly 5G would be deployed throughout those cities, or when exactly the launch would begin, but Verizon did say that each launch would include some deployment of super fast millimeter wave radios. “It’s just gonna be a total different experience in speed and throughput than you have ever seen before,” Hans Vestberg, Verizon’s CEO, said during a meeting with investors this morning. 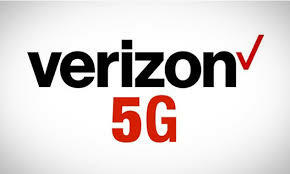 Spokespeople for Verizon confirmed that the company is not yet identifying which cities the service will launch in. A large thick cable that is coiled up laying on the roof of a parking garage in snow will be helping bring the 5G service to Chicago. Telecommunications Contractors will be installing this equipment for Sprints 5G Network. The installation of the 5G equipment will take place throughout Chicago. Equipment will be installed on top of many buildings and structures as Sprint works at bringing 5G. The new generation of 5G will bring lightning fast download speeds and change the way society operates. 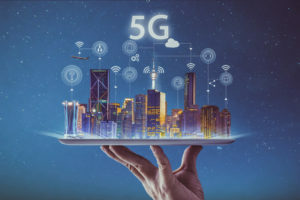 The new 5G service will be up to 20 times faster than 4g LTE services, said Jonathan Hart the director of the government affairs from Houston based telecommunications infrastructure company. As other telecommunications experts argue that these speeds are an understatement. Verizon CEO Released info on Tuesday targeting markets such as 5G home and 5G commercial. 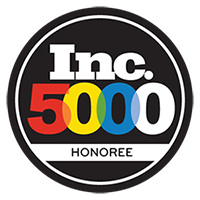 Offering faster throughput speeds and the low latency of the 5G Verizon backed network. 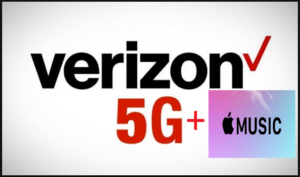 Verizon CEO Hans Vestberg mentions that 5G will bring new and exciting services such as Apple music to some of the data plans, also adding Netflix style gaming services. Verizon CEO Hans Vestberg explains that Verizon will be working with different developers that are working with the Verizon 5G equipment to create new innovations and services, to read the full article see here. 5G speeds have been predicted to be as high as 100 times faster than a mobile device using 4G.